Whoever wants to shield his C64 with style needs a dust cover! It helps against dust, stains of different kind and scratches (the latter one mainly when transported). 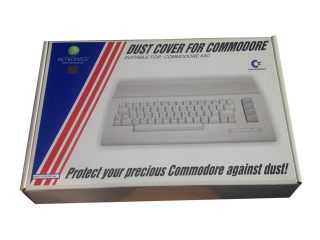 Our transparent dust covers are newly produced (by our partner Retronics) and are packaged safely. This Product was added to our catalogue on 24/08/2017.